The magic of Christmas has well and truly hit the the household. From twinkling lights to cheeky elves to being a real grown up and sneaking in parcels and presents into the house to hide. I adore this festive season for so many reasons - but since becoming a parent I am even more in awe with the magical special parts of Christmas which dance about. Creating these sparkling memories and making them believe in that little piece of magic. We have been using the Portable North Pole website and app to help create even more of that magic alive with the boys. This fantastic website allows you to create personalised audio and calls to your child. 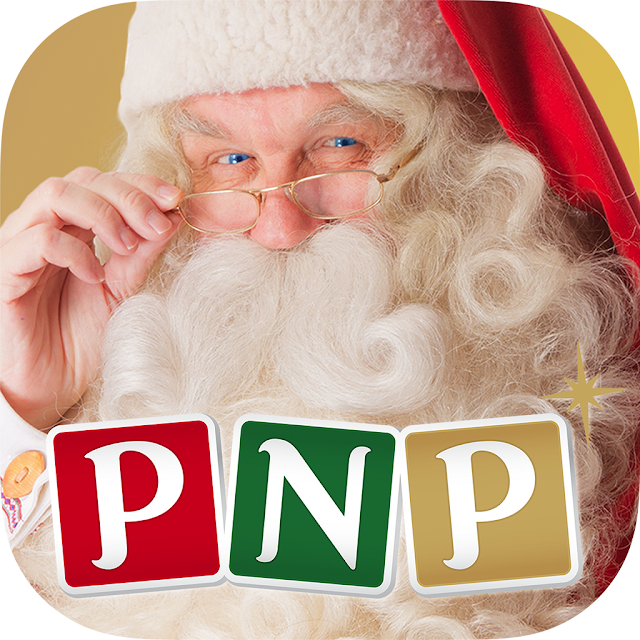 Portable North Pole or PNP is one of the world’s most beloved Christmas family entertainment brands Each message is carefully crafted to engage, surprise and keep children in suspense and they have become a modern tradition in millions of homes worldwide at Christmas. Your able to purchase a Portable North Pole Magic Pass for £9.99 via the website which opens all amazing features to you which include Unlimited premium videos and Santa calls - both of which that allow you to add Santa's verdict and create fun scenarios. There is a reaction recorder via the app which is lots of fun to capture that magic and excitement which just bubbles over with the little ones. My kids are obsessed with devices and phones and sure its not the Santa from "times of yore" but this bringing the traditional ideas and magic of Santa and making is accessible to the (well mine are) kids who are part of this new technological age. The app allows kids to play games, watch videos and receive Santa calls. You can set up the parents page to allow you to create the interactive videos and calls - which feed through to the kids page where these are able to be viewed - the Reaction recorder is so lovely for you to be able to watch back the joy in their faces. The app is easy to use and you can add in all types of photos, facts and information to really hammer home that the magic is real. You are also able to access birthday videos during the year. And you can get a Santa-Approved Certificate to print for each of your videos. The videos are all of a high quality and really show a traditional santa and his elves hard at work. You are able to add multiple children to one account and be able to personalise these videos for them. Its a fun way (and able to be done from your sofa) to make some Christmas magic appear for the little ones.And if you can't be silly, believe in spreading Christmas cheer and well to be honest - not being the most truthful with your kids at all times. I really do love the magic.